Thanksgiving...a holiday designed to celebrate everything we are thankful for around a feast made with love by our closest family and friends. 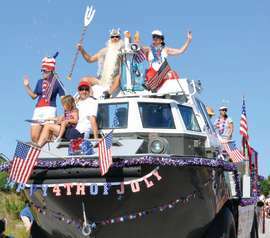 Spice up this year's joyous celebration by bringing the entire gang to the Outer Banks of North Carolina for an unforgettable gathering. 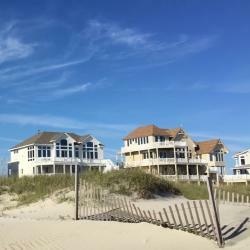 Visit our uncrowded, uninterrupted beaches and stay in an Outer Banks vacation rental home, just perfect for friends, families, and extended families. With discounted rental rates during the shoulder season, spending a Thanksgiving at the OBX will spark a family tradition that is priceless. Many rentals have kitchens large enough to prepare food for the entire family; multiple stoves for the turkey and stuffing, a two door fridge to keep the sweet tea and potato salad, and even a countertop for all the master chefs to create their signature sides. With most homes having multiples floors, children and even the distant cousins have plenty of elbow room. Don’t unpack those winter sweaters just yet. 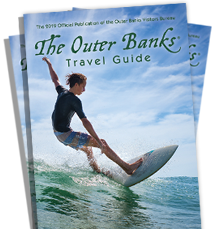 The average temperatures on the Outer Banks linger in the high 50s throughout late November. What does this mean for you? Fishing is still great with catches ranging from drum to blues, whether inshore or offshore casting. The piers remain open for fishing also, with updated fall hours. Furthermore, the expert eaters know that in order to make it through an entire day of eating, you have to get outside and walk it off. What better backdrop for a stroll than the Atlantic Ocean and shimmering shorelines? 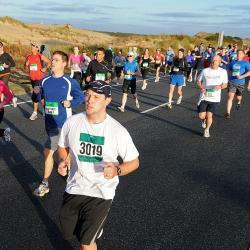 Or pick up the pace even more and sign up for our annual Turkey Trot , Surfin&apos; Turkey and Fun Runs. 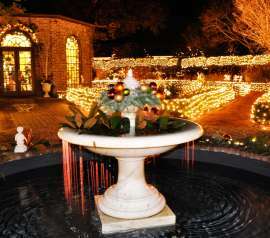 Don&apos;t miss the other events happening around town in November: Shrimp Cookoff, Fishing Tournament, Kites with Lights, Grand Illumination. Even though most rental homes have well-equipped kitchens, many restaurants offer Thanksgiving meal packages. 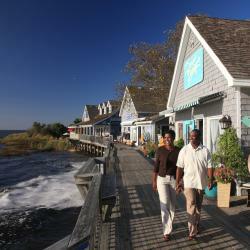 As the pace slows down along the islands, some restaurants change their hours and offerings. 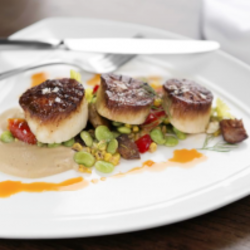 You can still expect local seafood, homely charm, and delicious hand-made meals. A sprinkle of sea salt, splash of Kill Devil Rum and an extra heaping of oyster stuffing are the missing pieces to your Thanksgiving meal. Still looking for those special holiday deals? Avoid the overcrowded, chain retailers and find comfort in our unique boutiques and specialty OBX shops that offer great deals for the holiday season. With Christmas right around the corner, now is the perfect time to land those great gifts at a discounted price. Family, friends, food and much more. 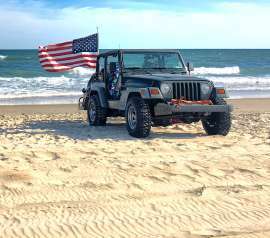 Let’s spend time this year bringing all three together and head to the OBX.